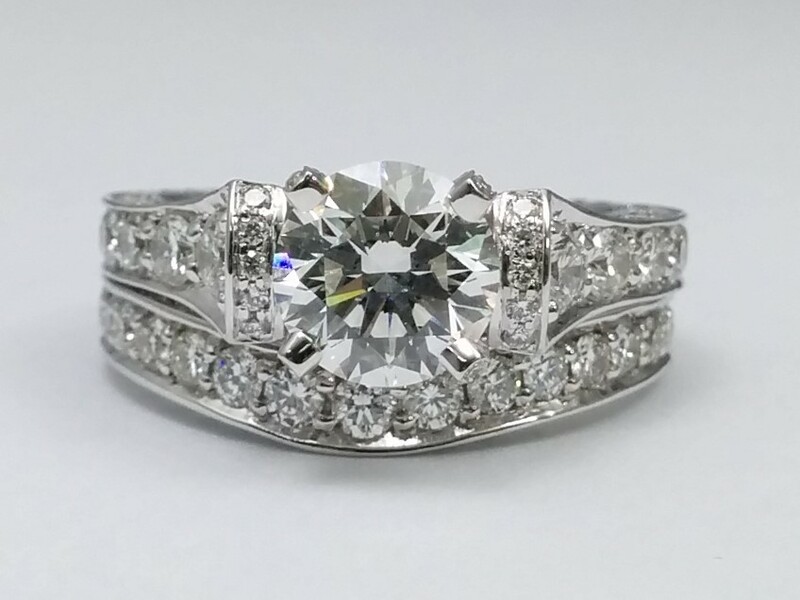 This unique Round diamond cathedral engagement ring setting features one-hundred-twenty-eight round brilliant cut diamonds pave set in graduating size on three sides of the band, as well as on the head and the prongs accentuating the center diamond. 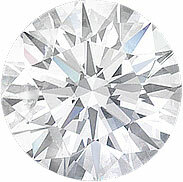 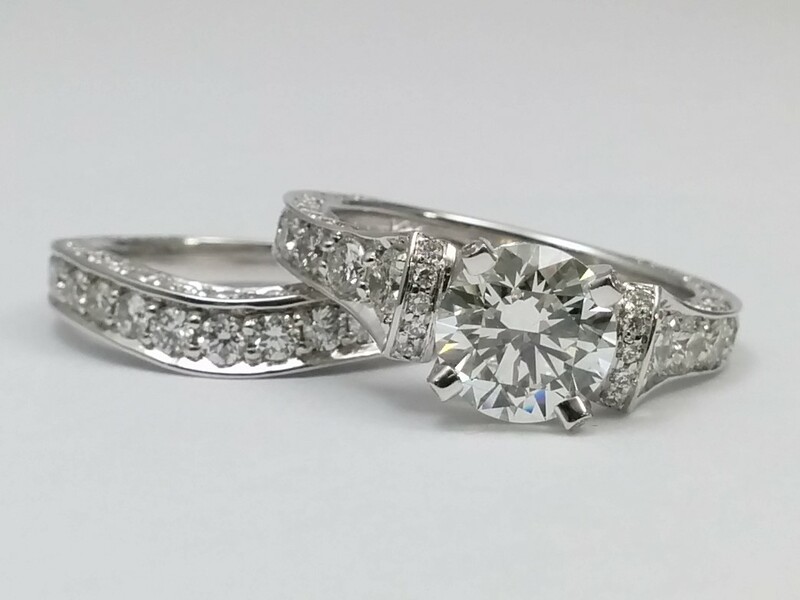 This magnificent setting accommodates a 1.5 carat Round diamond and can be customized to perfectly accommodate your Round diamond from 1.0 carat and up. 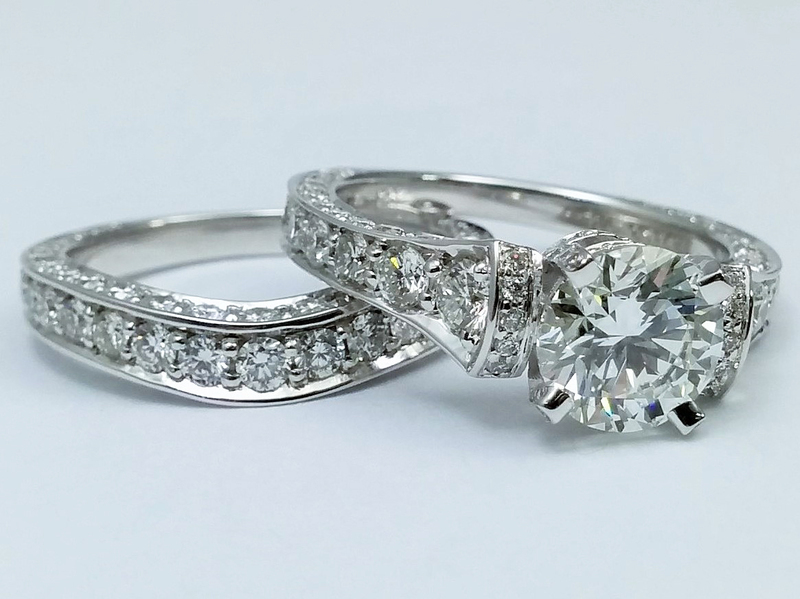 The wedding band complements the ring with its pave set round diamonds (approx.. 1.28tcw) and curved to the angle of the ring with diamonds on all three sides of the ring to match the engagement ring. 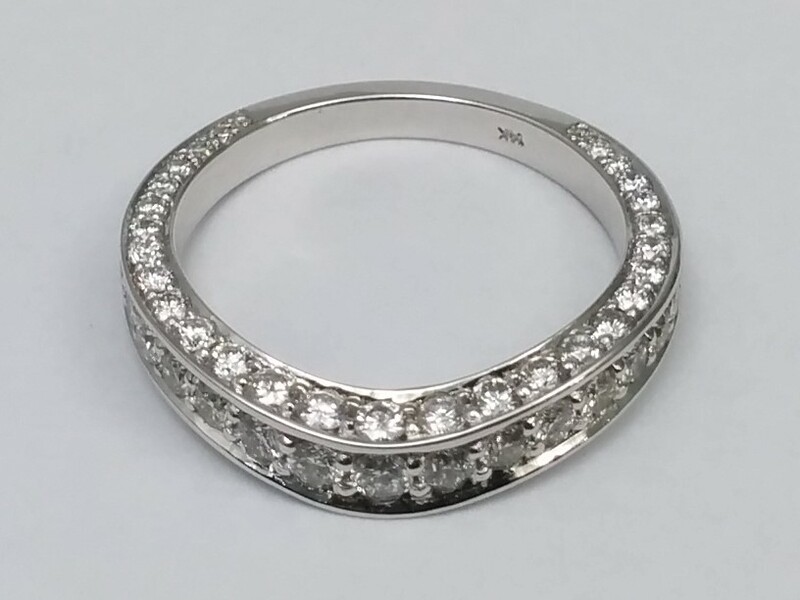 Also available in yellow, rose/pink gold and platinum.